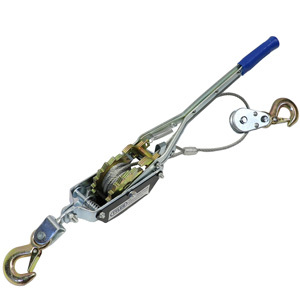 4 ton (8818 lbs) pulling capacity, 2 ton (4409 lbs) lifting capacity 4 Cable Puller Come Along fitted with 1/4" galvanized cable and drop forged hooks with latches. 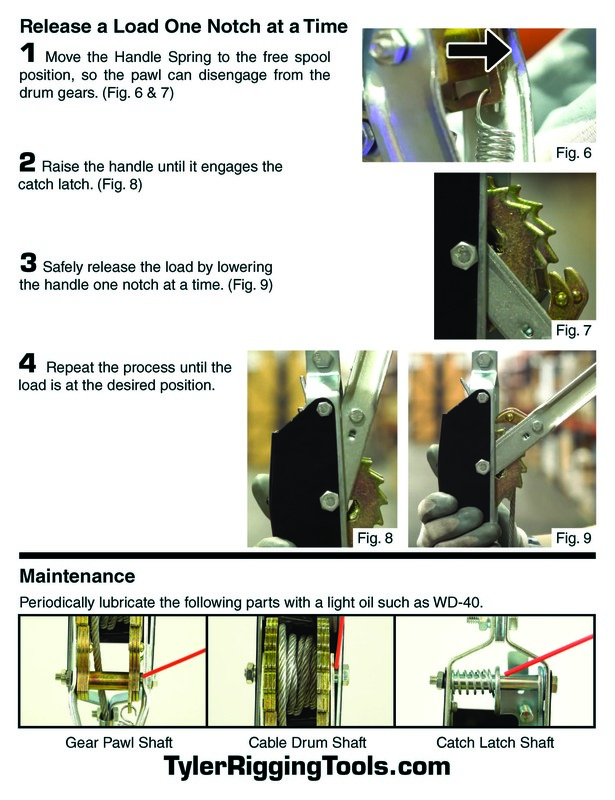 Gun Tackle configuration makes for 4' take-up. 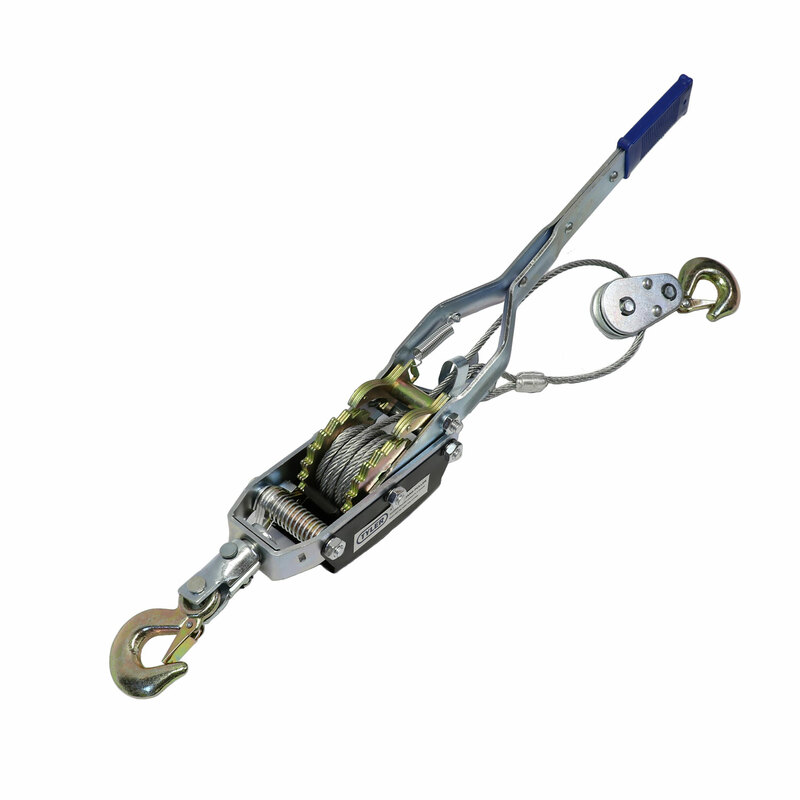 This multi-use ratchet cable puller come along is ideal for machine shops, boating, camping, landscaping, farming, garages and outdoors. Warning: Not designed for overhead lifting. 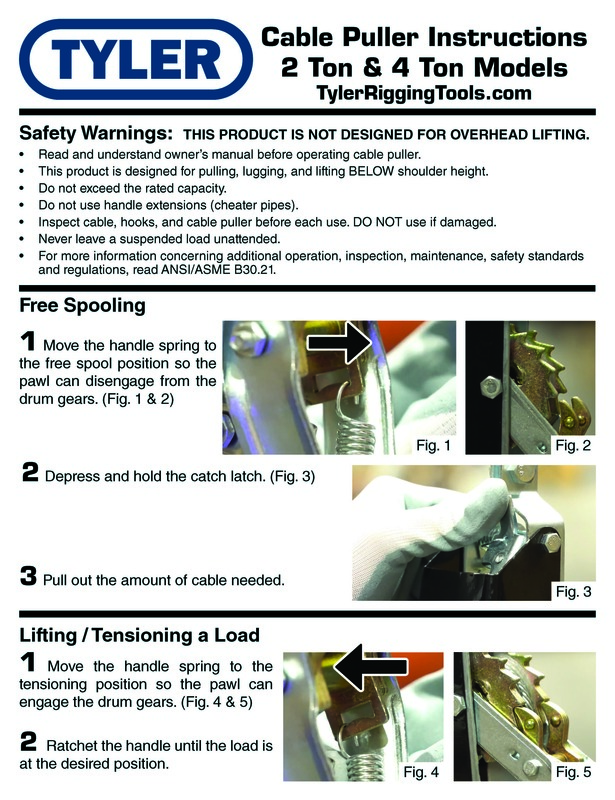 Read E-Rigging.com's cable puller safety information before use.